Big roar from concourse after that Koenig 3. Most of general fan section has cleared out here with Xavier up 66-47 w/ 3:53 left in game. Another big roar. My stream is behind. What happened?????? I can't take these premature roars! You've GOT TO, GOT TO, ABSOLUTELY GOT TO hit these both. It really is a big dance when a fat man is dancing in my living room. I am that man. All the roars! All the roars! After that miss, great job by Hayes and Brown standing still, arms up, to prevent last-second Nova magic from ruining a tremendous finish. Wisconsin finished second in the Big Ten. No way they should have been a No. 8. This reinforces what a bad job selection committee did. 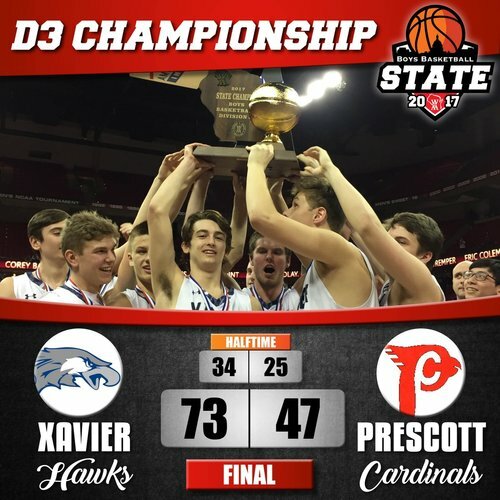 While you were away ... Appleton Xavier turns it on after Owen Hamilton's foul trouble and rolls past Prescott, 76-55, in the D3 boys final. We now know the real losers of the "disrespectful" seed given to the Badgers -- the No. 1 seed in the entire tourney. 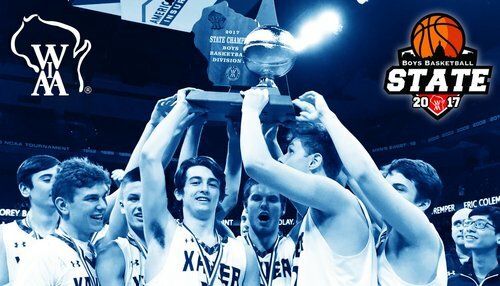 Congratulations to Xavier High School, the alma mater, for winning the Division 3 state title. 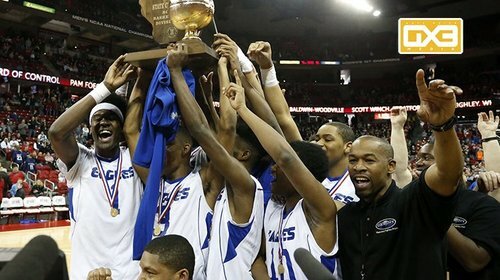 First undefeated team in school history. 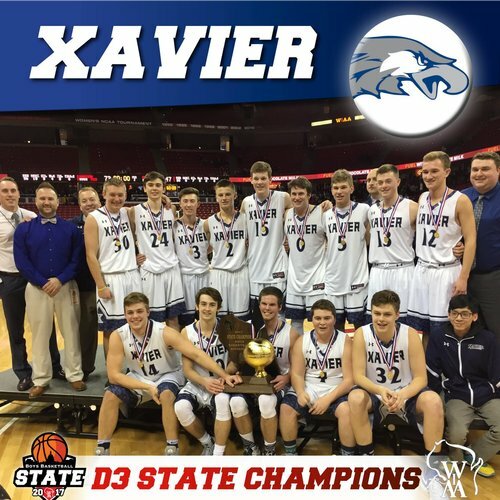 Congratulations to Xavier High School, the alma mater, for winning the Division 3 state title. 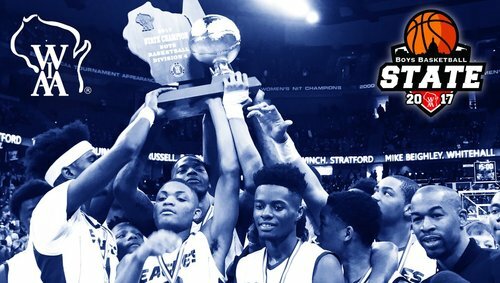 Second undefeated team in school history. Love that arrangement and performance of the National Anthem by group of La Crosse Central singers, which included Bailey Kale. 2018 F Nate DeYoung (6-4) of Xavier finished today with 18 points, 18 rebounds and 4 blocked shots. Eye-opening performance. 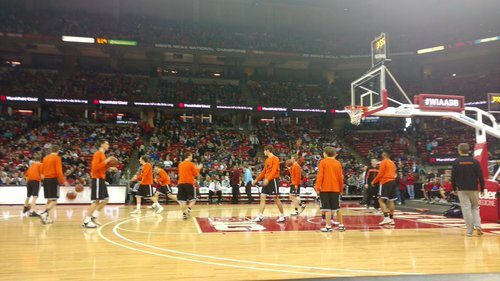 Officials: Nathan Fern (Hammond), Jeff Fern (Baldwin), Jared Fern (Hammond). Believe all brothers, including set of twins. So if you're scoring at home, that's three different sets of brothers that officiated together in tourney, which is pretty cool. 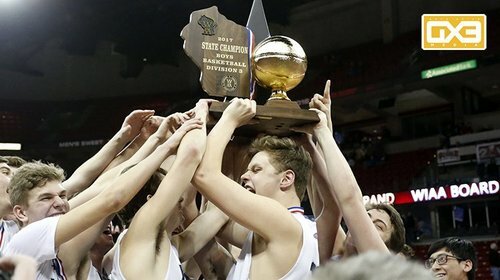 John Diener could very well be the Most Improved Player in Wisconsin. Super impressed with how he has shaped his body the last 6 months.